Charles Duelfer, left, speaks at the Senate Armed Services Committee in Washington on Wednesday. Marine Corps Brig. 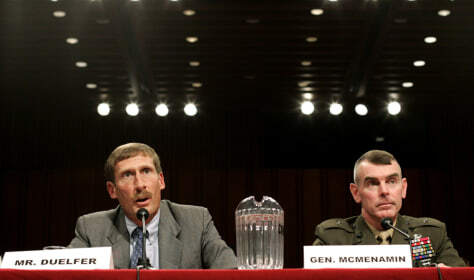 Gen. Joseph McMenamin, commander of the Iraq Survey group, is at right.